One of my coworkers brought this back for me from The Forks as I have not made it up there recently. I work with a number of rafting companies in The Forks and if you have never been to that part of Maine schedule a rafting trip now for this Summer. You will have a great time as the guides up there know how to put together a weekend of fun. Kennebec River Brewery is part of Northern Outdoors one of the largest resorts and guide service in The Forks. They bottle three of their beers and you can find the rest at the resort and you can bring a nice growler home with you. 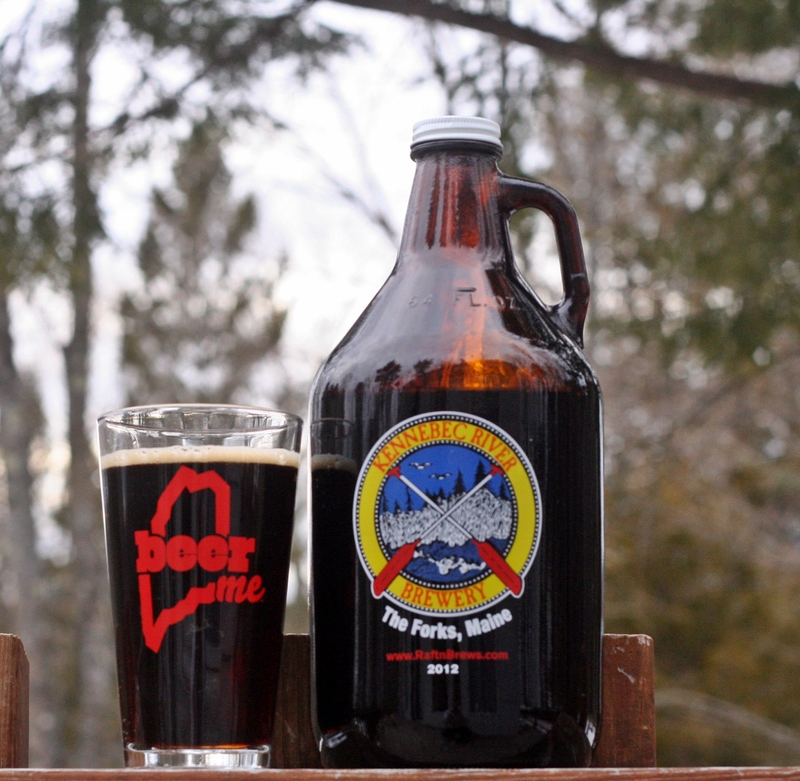 The Penobscot Porter is very dark with a thin tan head, looks like a porter should. Aroma is very sweet and with plenty of chocolate and maybe a bit of coffee. Taste is where this one really excels, very smooth and creamy with lots of chocolate. This is certainly one of the better porters I have had and I am very glad my coworker chose this. She drinks mostly Miller Lite so getting an excellent and dark beer like this was a great surprise.